I led a design overhaul to turn a rough prototype into a premium paid product and land its first customers. 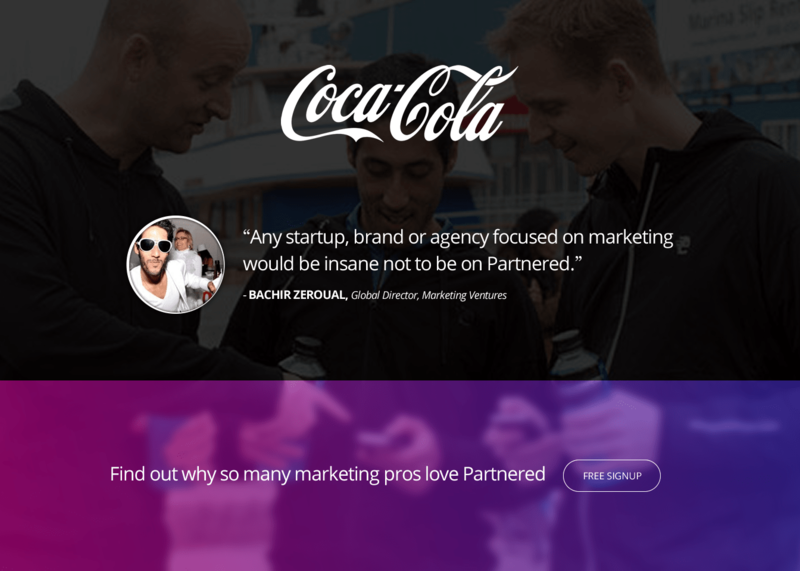 Partnered connects big brands with popular startups to plan advertising and marketing campaigns. 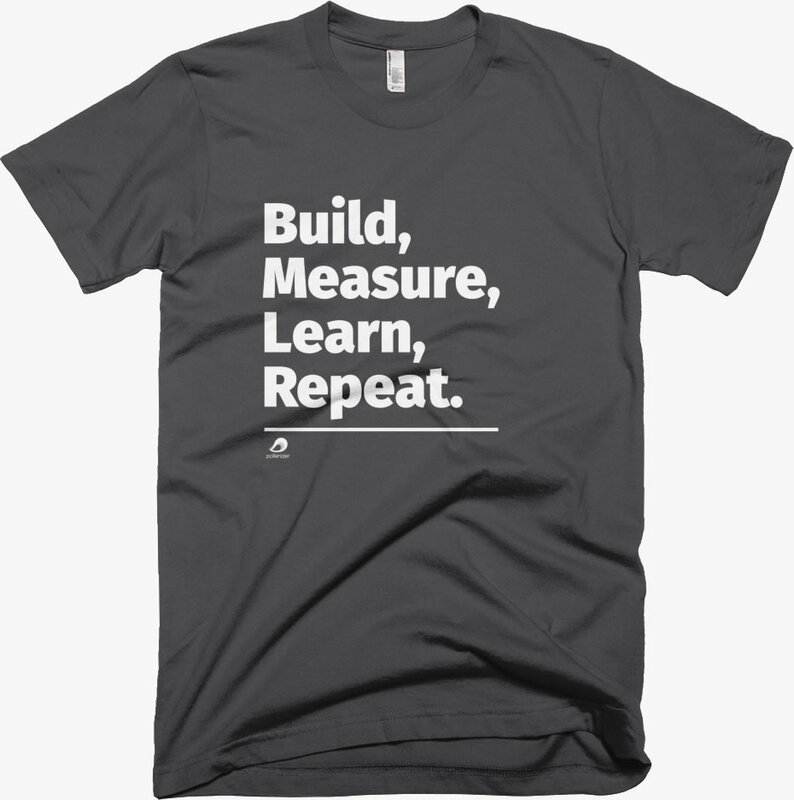 When I joined, they had a free prototype with a lot of signups of highly desirable companies but practically no repeat engagement metrics, showing that they had an interesting value proposition that the product wasn't fulfilling. In other words, the product sounded interesting enough to attract very influential marketers that tried it but rarely came back. The idea was an interesting and unique one - treat startups like a new type of advertising channel - but the UX was a confusing Tinder-like interaction that lacked any explanation of why you'd want to use it or what business opportunities might come of it. Most users would swipe through a list of companies and indicate interest, without ever coming back to follow up on the resulting activity. Plus it looked like crap. Nobody's going to fork over money for something even uglier than a default Bootstrap theme. Visual design is important as an indicator of quality and personality. To most people, the design is the product. 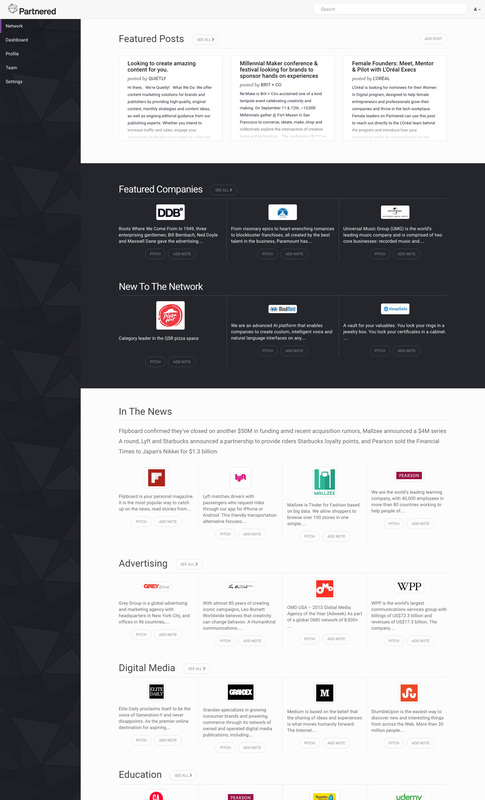 Phase 1 - redesign & relaunch at SXSW. Phase 2 - target larger customers. Extras - experiment with ongoing ideas. Immediately after joining, my first priority was to overhaul the free prototype and relaunch it as a paid product at SXSW. The team cranked in an all-out 3 week sprint to completely redesign the app from top to bottom. We completely threw away the confusing Tinder-like interaction, focused on promoting the content and interactions that were unique to the network (the posts & pitches described in the video below) and gave the visual design a completely new coat of paint. 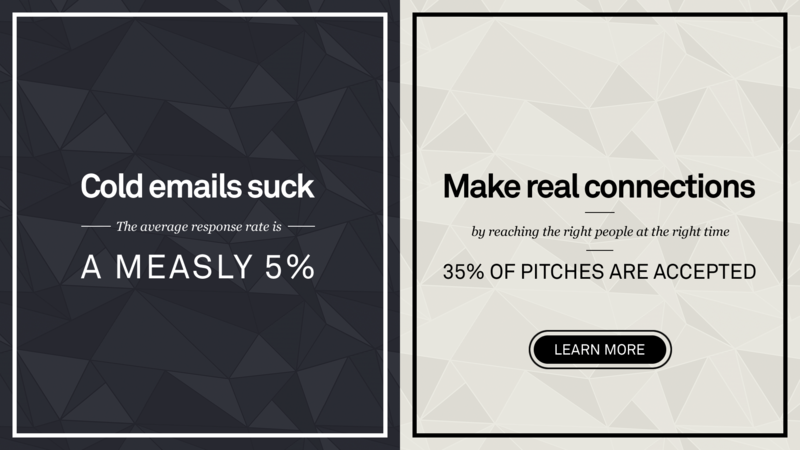 It was clear that posts and pitches were worth highlighting because of their engagement rates compared to the alternative - unsolicited cold emails. In Austin, we hosted our own event with panelists from our user base and I gave product demos to VIP guests that we targeted in advance. The relaunch was a success and we had our first paid customers shortly after returning from Austin. After the relaunch, it quickly became apparent that although we had traction with our new features, they were largely 1-on-1 interactions and our user base was composed of only single seat customers. This was a problem because we thought our main revenue source would be groups of people from the same company. Teams typically come from big brands and advertising agencies with larger marketing budgets, as opposed to the long tail of individuals in scrappy hustler mode at startups. So what was the deal? I added a research project to find out and met our largest customer every week for several months, doing a deep dive to learn about their needs. This phase was very familiar work for me - an organic and highly iterative process that I've done many times before. I'm in my sweet spot when I'm regularly meeting with a small base of enthusiastic early adopters and cycling through experiments until we find the features that take off with a larger audience. It's a different kind of slow burn compared to the firefighter work in the first phase. 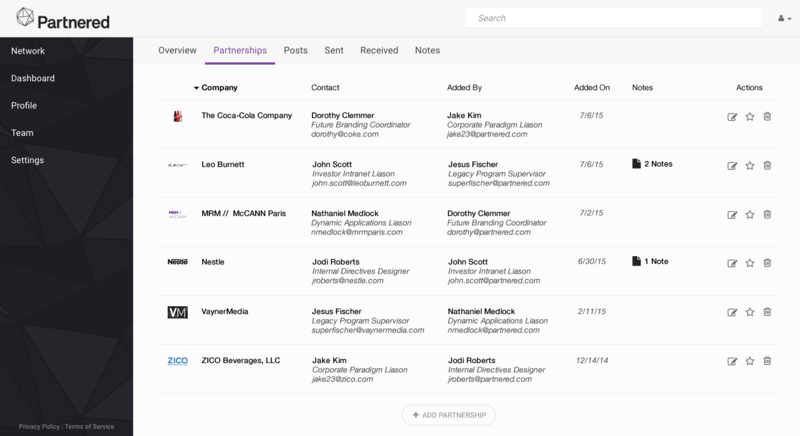 Sure enough, we eventually found the solution: to redesign a little-used feature called partnerships, turning it into a vendor database to help track complicated customer relationships. 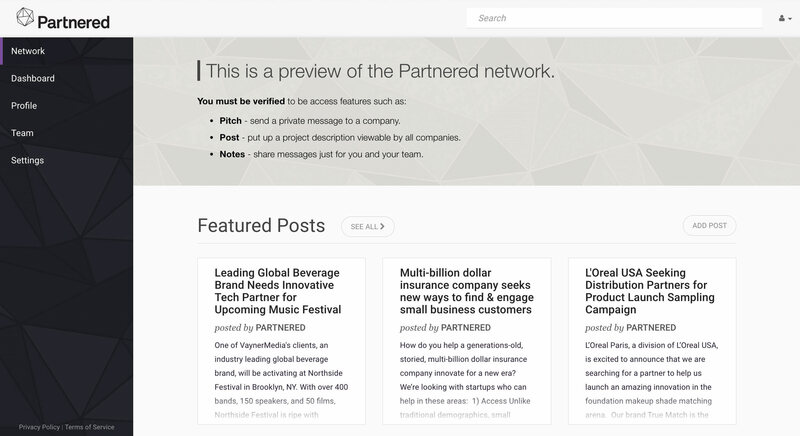 Before, partnerships were simply a way to show activity across the network, sort of like badges. Rethinking how it could be used internally on larger teams transformed partnerships into more of a CRM for marketing and a way to track all external business relationships. All of this grew from the realization that companies can often lose track of which teams have worked with specific clients or vendors, particularly at large organizations with flat hierarchies, like many advertising agencies. This is the cutting room floor - a random assortment of fun experiments that didn't make it to production. This project was an important business milestone for me. After years of working at startups, I'd only worked at B2B companies that already had customers or free consumer ones that ran on advertising. 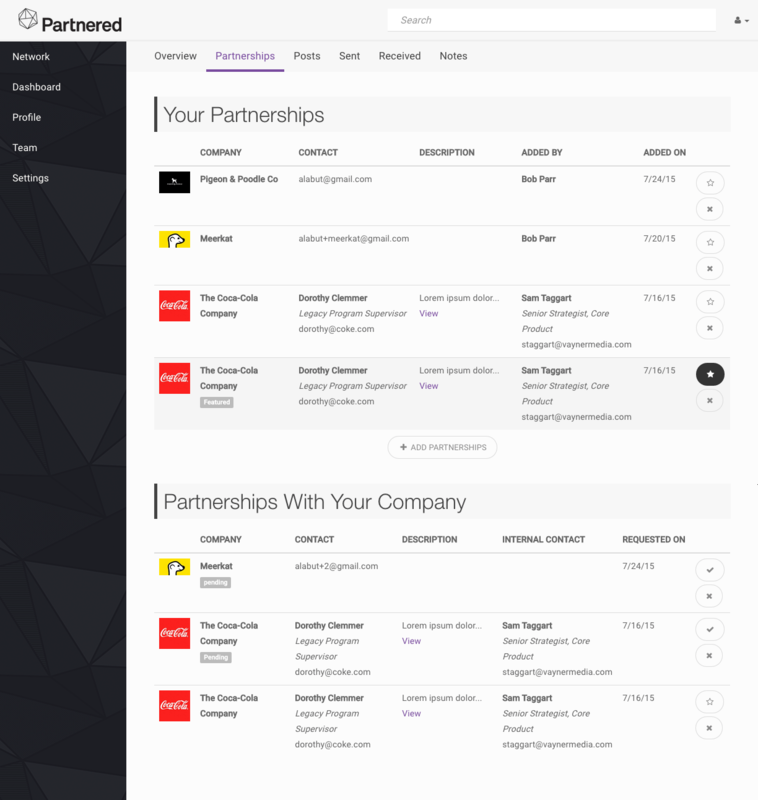 Partnered was the first time I designed something that got its initial paying customers. More importantly, the opportunity to be CPO gave me insights into what my own personal leadership values are. I was especially influenced by Ed Catmull's book on Pixar. Difficult crises can be teachable moments that reveal company culture, if you write down lessons learned and create a shared playbook of how to avoid similar situations. Thank you for reading! Email me at alabut@gmail.com or call my cell at 858-603-1820 if you have any questions.